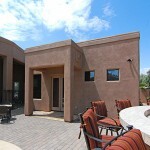 This casita was an addition to a home in Gilbert. After adopting two children, the family needed extra living space. The guest house addition includes a kitchen, bedroom, kitchen and bath. 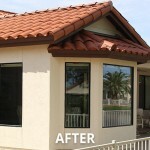 Cook Remodeling was the addition contractor in Greater Phoenix. We take pride in making sure your addition looks like it was original to the home. Everyone in my neighborhood uses Cook Remodeling.